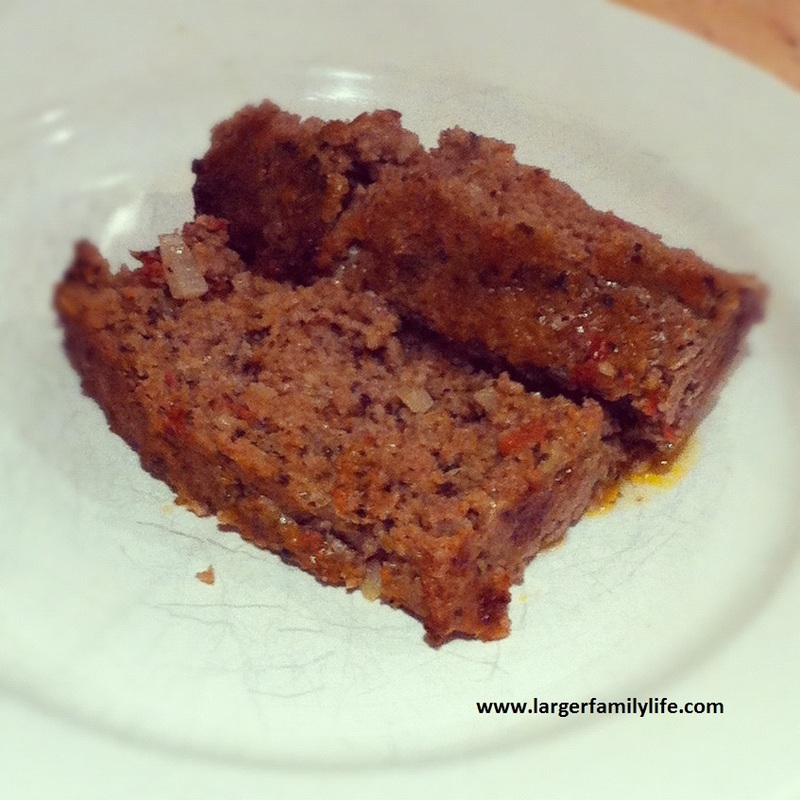 This is a lovely, moist meatloaf recipe that our whole family loves. Not only is that good in itself but better yet, it’s simple to throw together and takes minutes to prepare. Serve with boiled new potatoes and veg for a deliciously warming winter meal. This recipe makes enough to fill two 2lb loaf tins. You may want to halve this recipe if your family is smaller. Alternatively, this is a dish which is also delicious to eat cold, making it great as a packed lunch alternative for school or work. Tear up the bread then place into a large bowl. Using a stick blender turn into breadcrumbs. Chop the onions and add to beef and breadcrumbs. Add eggs, olive oil and tomatoes. Season generously with salt, pepper and basil. Using your hands bring the ingredients together, squeezing and mixing until it’s all combined. Line or grease two 2lb loaf tins. Pat the mixture tightly and evenly into each tin. Cover with foil then bake in oven for 45 minutes. After 45 minutes remove foil, then bake for a further 15 minutes. Remove from oven, cut into slices and serve.